"FRAILTY IS NOT AN INEVITABLE PART OF AGEING"
Preventing Frailty is an Investment. If you have read the previous pages, you'll know that frailty is not a simple matter. There are many variables which can influence a person's potential of becoming frail. Some of them, especially complex medical conditions, do not have simple solutions and require specific medical expertise. For the majority of us, there is lots that we can do that can do to reduce the potential of becoming frail and even reverse certain frailty traits. Following this advice is an investment of effort and time, an investment into your future. The return on this investment is confidence, mobility and, hopefully, independence and freedom in later life, something we believe is priceless. As Gandhi once said "It is health that is real wealth and not pieces of gold and silver." This is our area of expertise. As a physiotherapy team, we have a lot of experience helping people to perform more optimally. 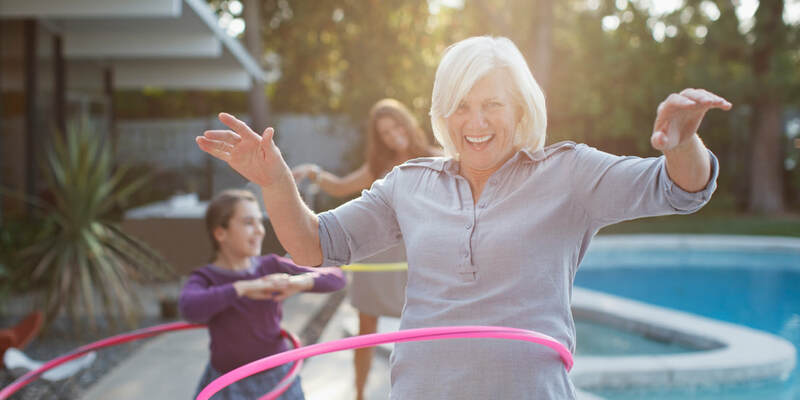 Many studies have shown that exercise based interventions can help a person improve their functionality even when they are showing signs of frailty. Being capable of meeting the physical demands of daily life​ is vital for maintaining independence. We have identified three vital areas to focus on - your strength, balance, and flexibility. EXERCISE IS THE BEST MEDICINE. When we push the human body to its maximum, it responds by improving its capability. If we lift weights, the body responds by increasing muscle mass, bone strength (via size and density), improving nervous tissue connection, improving blood flow through the network of arteries, veins and capillaries, improving the lungs ability to take in oxygen and increasing the hearts ability to pump vital nutrients to the body via the circulatory system - and that is just the basics. From around the age of 40, unless we continue to build our muscular strength, the body gradually becomes weaker and weaker. The medical term for the loss of muscle strength and muscle mass as a function of ageing is sarcopenia. It is a natural process which is being studied at length, partly because of the dramatic effect it can have on an elderly person's quality of life. However, some studies have shown that masters athletes (athletes that have continued to train hard as they age) show very little sign of sarcopenia, which may suggest that it is only a 'natural' part of ageing for people who are more sedentary. Ultimately, the body is an efficient machine and will not waste energy feeding and maintaining muscle which is unnecessary for the tasks being performed. So, it strips that muscle away. We see this all the time in younger adults but the process is more acute in the elderly. When you perform balance exercises, the body responds by improving the neural connections to the muscles that are required to subtly contract to regain balance. The more we practise, the better the strength and timing of the response, enabling a person to react to uneven surfaces which are difficult to navigate or to situations where we might be pushed off balance. ​Being strong and being able to stand on one leg for extended periods is superb but it is also vital to be able to reach, twist and bend the body when required. The importance of flexibility is easy to underestimate but so many tasks require us to be able to move and hold our body in unusual positions. A person may still be quite susceptible to falling if they are strong and have good standing balance but are unable to twist their torso or reach out/stretch if they are knocked off balance and need to quickly adapt in order to regain balance. Nutrition is a complex matter with many inherent subtleties and nuances. Research into nutrition in general is also complex with many difficulties in calculating the difference that a change in diet makes. When it comes to frailty, it is clear that nutrtion can be a pivotal factor but more research is needed. Frailty, and the prevention of it, is significantly linked to what we consume, or maybe more importantly, to what we don't consume. In a systematic review of research that has been conducted in the field of frailty and nutrition, a team at the University of Coruna, Spain, noted the following information (this is our personal summary and should not be taken as authoritative - please feel free to read the study for yourself - The authors (Laura Lorenzo-López, Ana Maseda, Carmen de Labra, Laura Regueiro-Folgueira, José L. Rodríguez-Villamil and José C. Millán-Calenti) and BMC Geriatrics have given permission for the study to be freely distributed under the terms of the Creative Commons Attribution 4.0 International License (http://creativecommons.org/licenses/by/4.0/). Other studies used different scales to measure diet quality and, again, links between improved diet quality and lower frailty were noted. Low protein intake was found to be linked to frailty in most but not all studies. The type of protein did not seem to matter but the distribution of protein intake did. One study showed that protein taken evenly throughout the day was better than when taken less evenly, for example, low intake at breakfast and high intake at lunch. Two studies in the review showed that higher levels of dietary antioxidants were linked to frailty status. Higher levels of antioxidants through food and drink was conversely related to frailty i.e. high antioxidants, lower chance of frailty. Foods stuffs that were mentioned and linked to lower odds of frailty levels were: green tea, coffee, vegetables, and fruits. Specific micronutrients were used in five studies, some of which were significantly linked to frailty. For more details please read the study and speak to an expert regarding dietary changes and supplements - caution should be applied. The study makes particular reference to the fact that more research needs to be done regarding the amounts of micronutrients that should be included in the diet. A higher intake of fibre and carbohydrate was associated with lower frailty in one study. A higher intake of fat was significantly linked to an increase in risk of frailty in one study. There is a strong link between malnutrition and frailty. There are a number of studies which suggest a strong link between cognitive decline and frailty. Historically, medicine has treated the functioning of the body and the mind quite separately but that is changing. ​As a clinic, we believe in taking an holistic approach and we have done since opening in 2004. And we're not just talking about mental dexterity, we believe that your emotional wellbeing is a huge factor in being physically well (more on that later). The best advice we have is this: be as wholly engaged in life as is possible. Fill your life with the riches that come from spending time with friends, getting outdoors amidst the beauty of nature and being fully present. Celebrate the details, revel in the special moments and keep active. Brain Train or Gravy Train? The jury is out on whether what is classed as 'brain training' actually does protect thinking skills in later life. 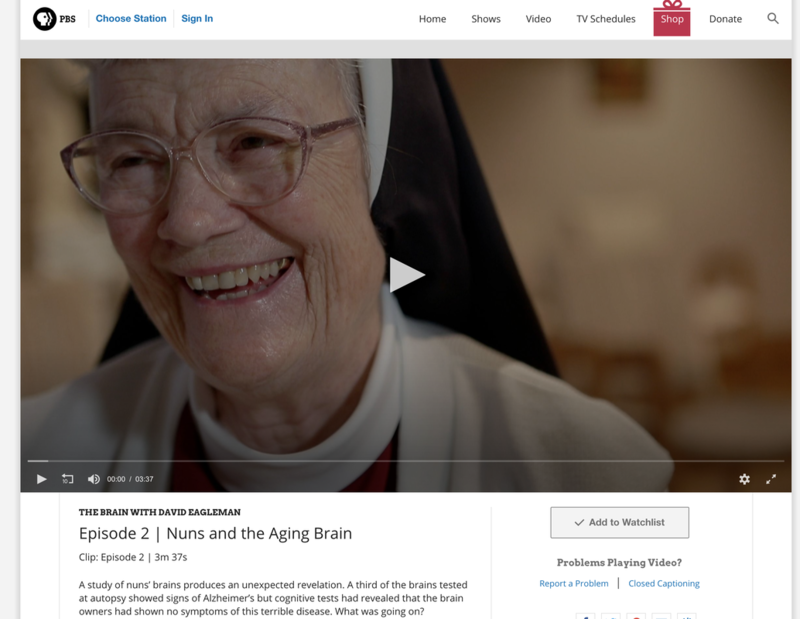 In January 2016, the US government Federal Trade Commission fined one of the largest companies selling brain training products in the US, stating that they 'preyed on consumers’ fears regarding ageing and declining cognitive ability by making claims that suggested 'their games could stave off memory loss, dementia, and even Alzheimer’s disease'. These claims were not backed by evidence. Studies suggest that there may be a short-term improvement with many of the brain training programmes but any long-term benefits are less clear. Most studies on cognitive ability which involved some form of targeted training to improve a specific ability show that improvements have thus far been limited to only the trained ability and not a global improvement in a range of cognitive processes. ​There is a lot of research data that suggests there is a correlation between high self-reported social engagement i.e. participating in stimulating leisure activities, physical activities or cognitive activities and improvement in cognitive tests. One particular study showed that individuals who took part in leisure activities that were highly social or intellectually stimulating were less likely to be diagnosed with Alzheimer's disease (Barnes, Mendes de Leon, Wilson, Bienias, & Evans, 2004; Crowe, Andel, Pedersen, Johansson, & Gatz, 2003; Schaie, 1984; Wilson et al., 200 . Scarmeas, Levy, Tang, Manly) and other such studies revealed similar effects. There are detractors of this theory though and it is possible that people who are less socially active may already be suffering from undiagnosed, early stages of Alzheimer's disease or other conditions such as depression, hence, the reason they may be less likely to be as actively engaged. From what we currently know, engaging in high levels of stimulating and enjoyable social engagement seems to be the best way to maintain your cognitive function. The brain, much like the body, is constantly adapting to the requirements we place upon it. Neuroplasticity is defined as ‘the capacity of the nervous system to develop new neuronal connections’ (dictionary.com). It is the nervous system's way of improving the way it functions according to its new 'environment' by creating new connections amongst the neural networks of the brain (connections between nerve cells). The brain also possesses the ability to create new nerve cells (neurogenesis), something that was previously believed to only occur in very young brains. A recent study showed that neurogenesis occurred in the brains of mature rats living in a particularly stimulating environment. ​However, it is not clear how normal this occurrence is humans or under what circumstances it may takes place. Further study is needed in this field before we can make any conclusions about human cognitive performance and neurogenesis. Learn more about this fascinating subject by clicking the picture below. choose a more confident future.